The E-Series® Ultrasonic Plus meter combines ultrasonic transit-time technology to measure cold potable water and incorporates an integrated shutoff valve into the meter design. This innovative design allows water utilities to actuate the valve remotely to temporarily restrict water service safely and efficiently without the need for proprietary infrastructure. 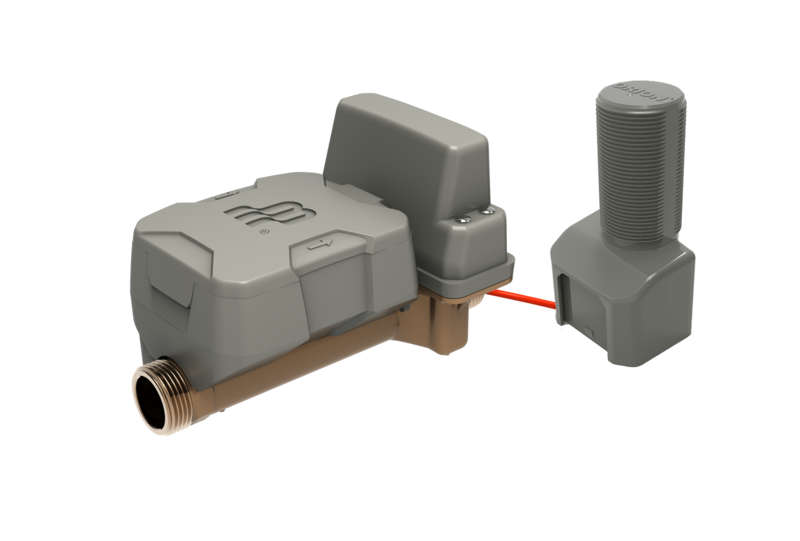 And the modular design of the Ultrasonic Plus meter gives utilities the option to install a valve-ready meter first, then install the valve later. The E-Series Ultrasonic Plus is smart water meter technology. Flexible, modular design allows installing the meter now and valve later – with field replaceable valve module. Alarms provide early detection to flow disturbances such leaks, reverse flow, empty pipe, exceeding max flow and temperature.